Clearly, judging from its marketing campaign, One Chance wants to be this season’s ‘Billy Elliot’. It’s the story of a man chasing his artistic dream despite the brutish roots of his hometown holding him back. 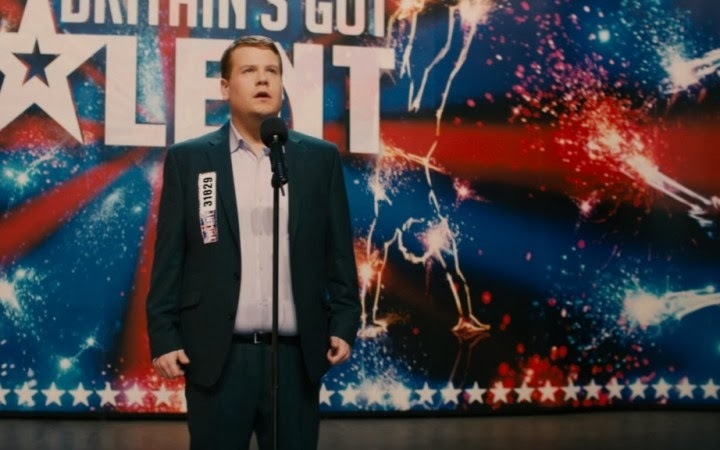 The one differentiating feature however is, One Chance is based upon the true life and struggles of lovable Welshman Paul Potts, who rose to international stardom when he won the first series of the television show Britain’s Got Talent. Whilst the film has solid performances and genuinely touching moments, unfortunately it’s hamstrung by a screenplay littered with saccharine self-aware typical biopic dialogue. Since this is based on real events, it’s kind of hard to talk about without spoiling the story. I’ll do my best to tip-toe around key moments but in saying that, this is one of those ‘journey not the destination’ type films. Set in a small industrial town in Wales, we first meet Paul as his time is consumed by two key activities; namely singing and being chased by a pack of bullies. Paul’s plight is fairly straight-forward; he’s an overweight opera fanatic in a mucho-industrial town who is yearning to break free. We’ve seen films with a similar flavour before, such as Billy Elliot, Brassed Off and The Full Monty to name just a few. James Cordon (History Boys) channels the comedic style of Ricky Gervais as he plays Paul Potts with a self-deprecating slightly awkward charm. He’s matched very well by Alexandra Roach (Iron Lady, Anna Karenina) who plays Julie-Ann Cooper, Paul’s girlfriend. Together they convey the idea that they’re a couple of misfits who were lucky to find each other. 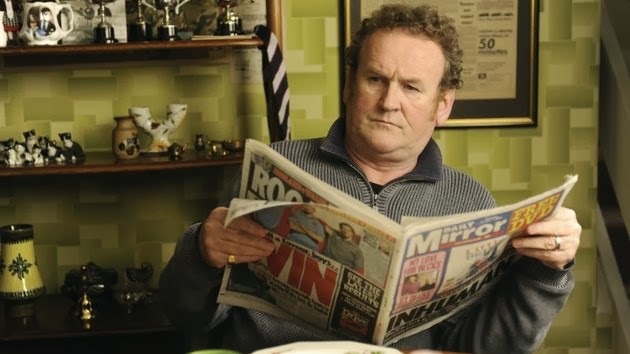 Paul’s parents are played by Julie Walters and Colm Meaney; sadly neither seemed overly challenged by their role. Walters does her cheeky-quirky-housewife whilst Colm Meaney plays the gruff steel worker, who represents everything that Paul doesn’t want to become. Mackenzie Crook (The Office, Game of Thrones) is the comedic relief as Paul’s best mate and boss; think Spike from Notting Hill meets a fantasy role player. It’s a good performance from one of Britain’s premier character actors. My biggest issues with this film are the bland directing and the screenplay. Director David Frankel (Hope Springs, The Devil Wears Prada) isn’t renowned for his stylistic flare, and for the most part the direction felt repetitive. We’d be treated to an establishing shot, followed by a shot of either the ceiling or other landmark at which point the camera would slowly pan to where ever the characters were. Annoyingly this is repeated ad nauseum. I appreciate that the story didn't call for flashy techniques but this started to feel like a metronome. The screenplay was too heavy handed and aware that Paul is going on to great things, for example in the opening sequences of the film Paul is rushed to hospital due to an issue with his ear, whilst being wheeled into the operating theatre his mother yells “as long as he can still sing one day we’ll be happy”. There were many instances of this kind of script writing, which robbed the film from having a natural feeling to it. Overall One Chance isn’t a bad film; it’s a middle-of-the-road feel good story which I’m sure some people will get a kick out of. I think this is a film that will do very well in the over 50 market. It simply lacks the charm and execution of the films which it is attempting to emulate. One Chance is currently in cinemas, if you see the film and agree or disagree with my thoughts feel free to drop a line below.